Have you always wanted to ride Wally the Carlton Club ostrich? Are you feeling nostalgia for childhood Christmas photos with Santa? Then visit the Carlton Club in December for the best Chrissie present ever. That’s right, Wallys’ photo booth is BACK. Grab your mates, head to level one of the Carlton Club. 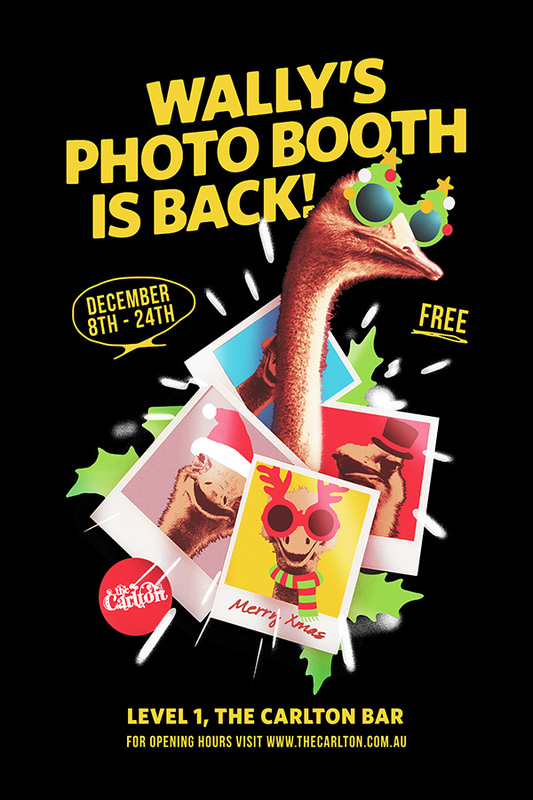 Where you’ll be able to get your picture taken, while you ride Wally the Ostrich. This is a chance to capture you and your Christmas shenanigans. We have lots of costumes and props to put you in the Christmas spirit. NAUGHTY OR NICE, ITS TIME TO LET THE REAL YOU SHINE.